What are owners sayingABOUT THEIR DY PUMPS? 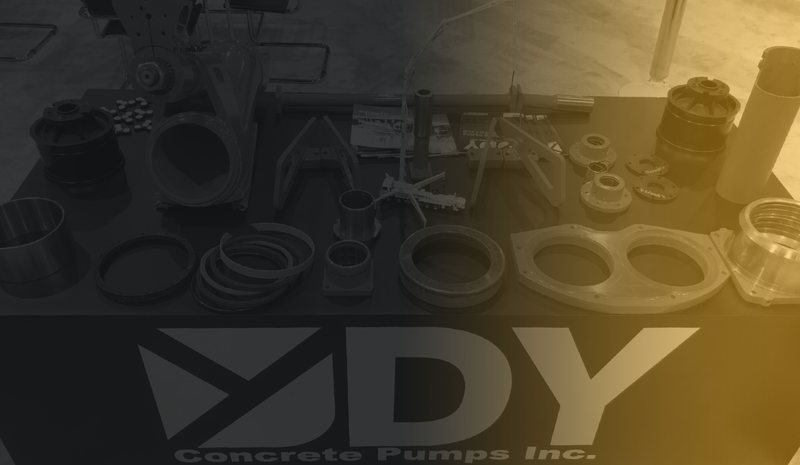 For more than three decades, DY Concrete Pumps Inc. has provided innovative and effective concrete placing solutions to a broad range of customers. 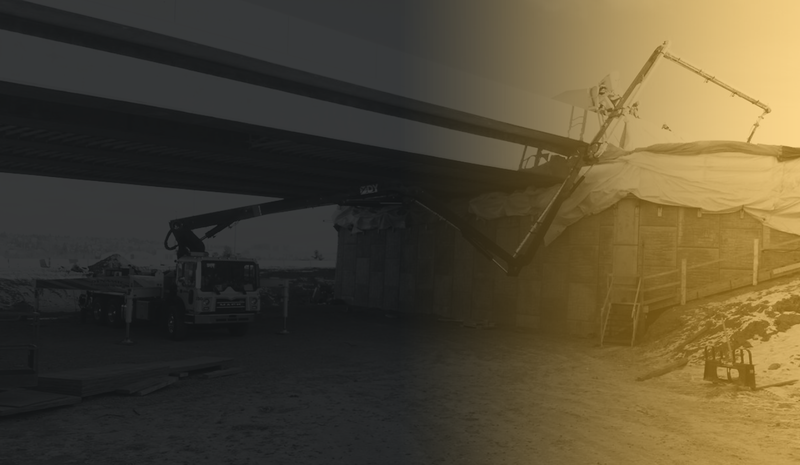 As leading concrete boom pump manufacturers and distributors, we offer the advanced technology, experience and support to help your operation maximize productivity and reduce long-term operating costs. Our booms for concrete pumping are designed to speed up cycle times and take the hard work out of mixing and distributing concrete materials. 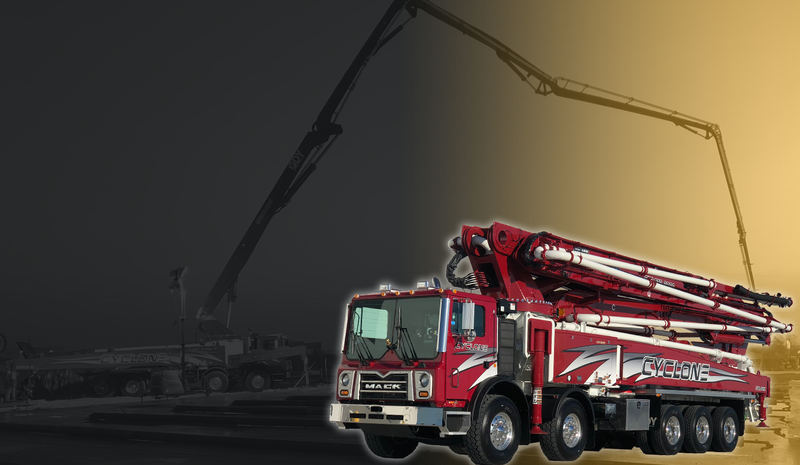 DY Concrete Pumps has been manufacturing high-quality concrete boom pumps for over 25 years and we are dedicated to producing quality products backed by the best customer service in the industry. As original concrete boom pump manufacturers, our focus is designing and engineering extremely durable concrete pumps that are easy to maintain and use. Whether you invest in a versatile 33-meter, 5-section double Z concrete boom truck or a 6-section, 57-meter RZ concrete boom pump for commercial high-rise projects, you’ll find it in our inventory. All our concrete boom pumps in the U.S. and Canada are constructed with quality parts and components to deliver the highest performance possible. Each concrete pump’s simplistic design makes it easier for operators of all experience levels to work safer, smarter and more efficiently. 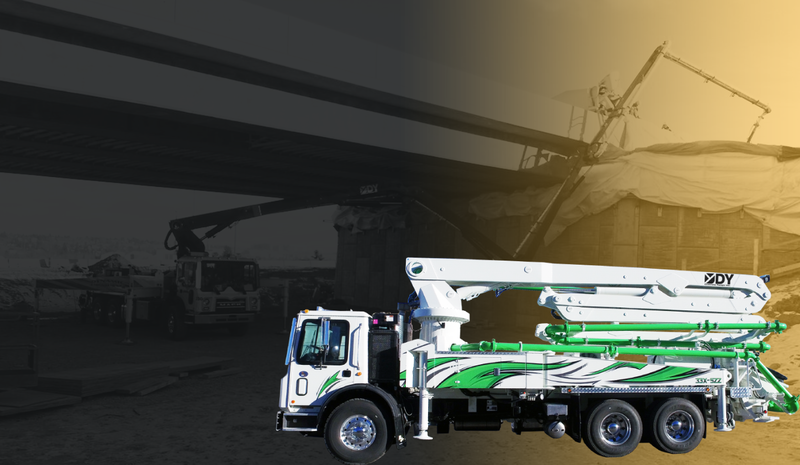 Maintenance on our concrete boom pumps is simple, and we provide all the replacement parts and support you need to get the most out of your fleet. Our convenient locations in Calgary, Dallas, and Tampa allow us to provide same or next day delivery of any boom pumps or replacement parts throughout the United States and Canada. Cold climate packages are also available that allow for our concrete boom pumps to be used in below freezing temperatures. 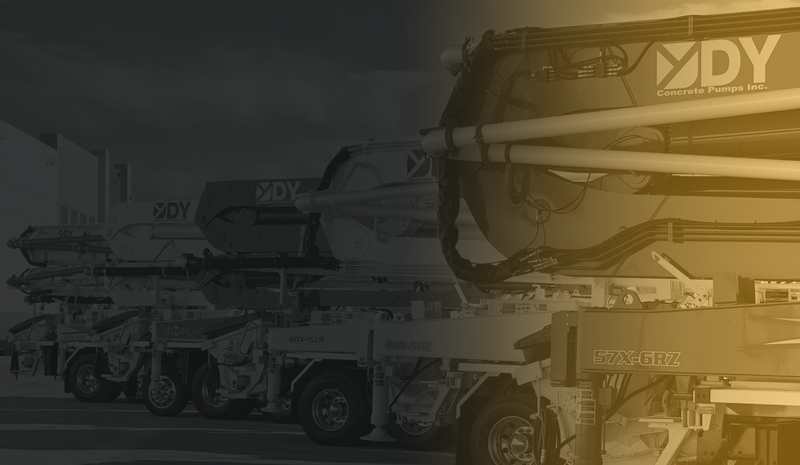 DY carries 360-degree continuous rotating roll and Z-type booms in a variety of sizes and configurations. We offer 4R, ZZ, ZR and RZ models ranging from 33- to 57-meters. The compact design of our truck-mounted concrete pumps improves maneuverability in urban areas and residential neighborhoods, and also allows for improved reach and performance pumping in open and tight spaces. 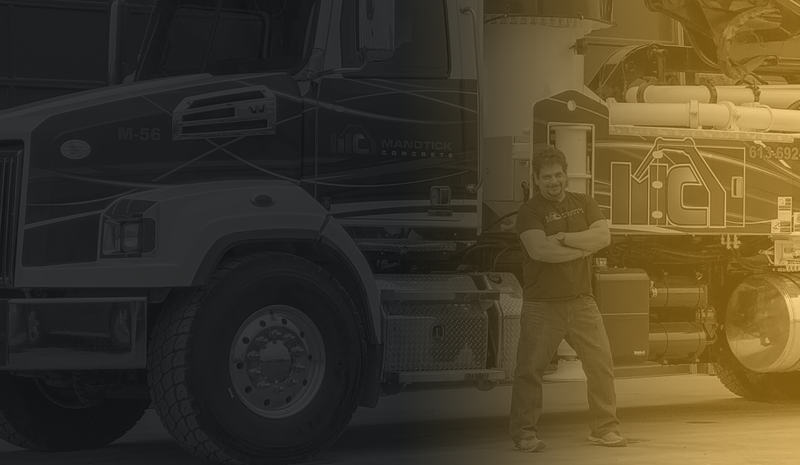 You can mount our boom pumps on your choice of Mack, Western Star, Peterbilt, Kenworth and Freightliner chassis. In addition to our complete range of new boom concrete pumps for sale, we provide a variety of pre-owned solutions. We carry an extensive selection of cost-effective used machines — our representatives will make sure you’re as comfortable making your used purchase as you would be with a new product. 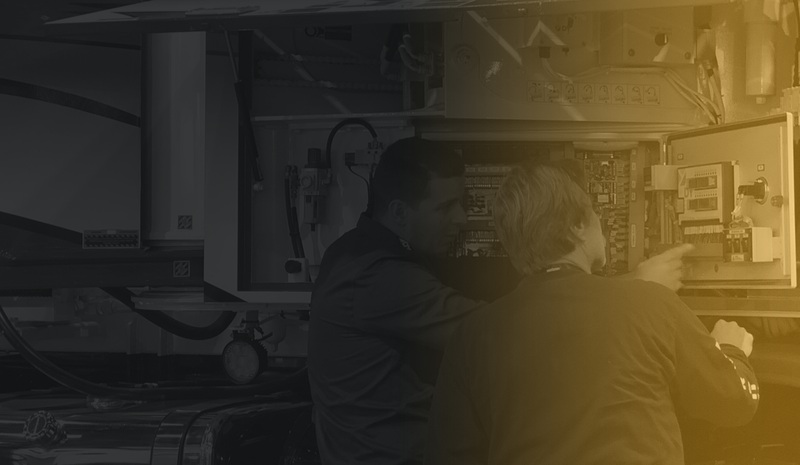 Whether you are purchasing a new or used concrete pump for your fleet, our 24/7 support team and parts department are there to help you with anything you might need. 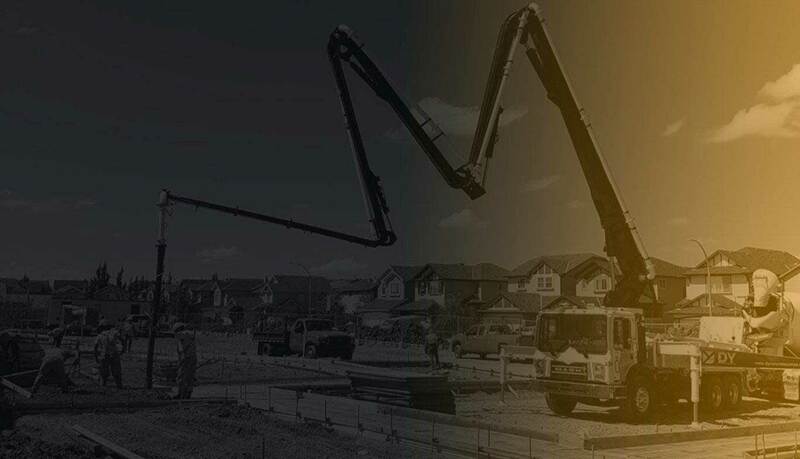 We strive to be the one-stop-shop for concrete boom pumps throughout North America including the U.S. and Canada by delivering everything you require to be successful. 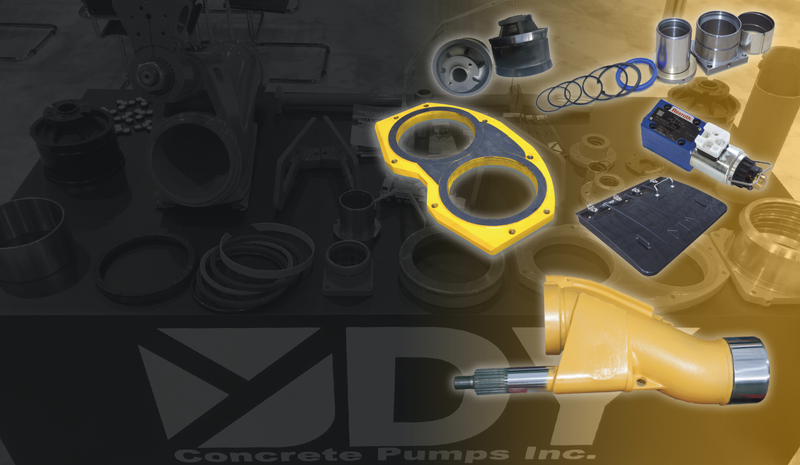 We carry a massive inventory of stock parts in Dallas/Fort Worth, Tampa, and Calgary for every type of concrete pump, offering durable performance in the most challenging applications and environments. When you order with us, you benefit from parts being available for same- or next-day delivery across North America. 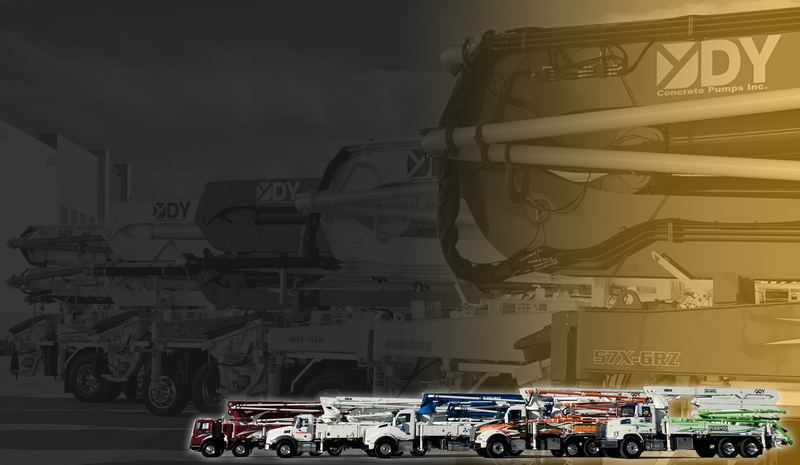 From flexible financing options to dedicated customer service and 24/7-support, DY Concrete Pumps goes the extra mile to ensure your satisfaction. Contact us by filling out our online form to request assistance from an experienced live representative. We’ll be happy to answer all your questions and provide you with a competitive price quote.